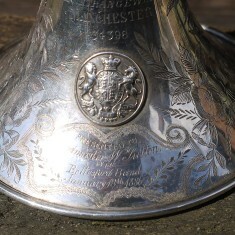 Engraved inscriptions and decoration together with the royal crest. 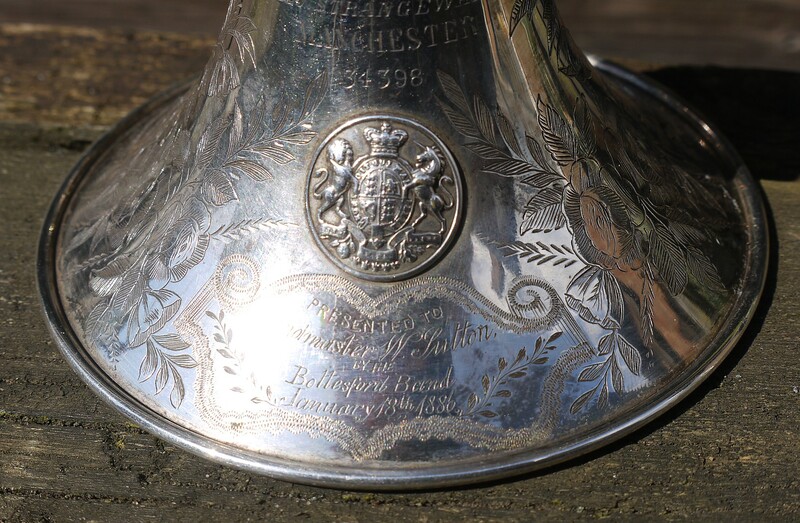 Detail of the royal crest and dedication to W.Sutton, Bandmaster. 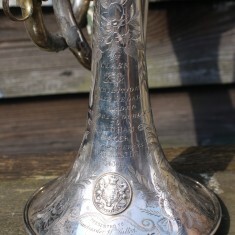 Engraved decoration on the inside of the horn. 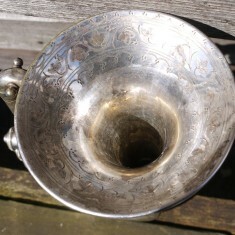 Detail of the inside of the horn. 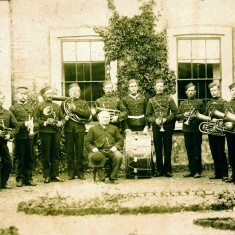 Bandsmen in uniform with Canon Norman outside Bottesford Rectory, c.1880. 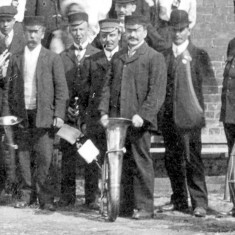 William Sutton is probably the cornet player next to the drummer. Bottesford band during coronation celebrations in 1911. Bill Sutton stands behind the drum, wearing a bowler hat. 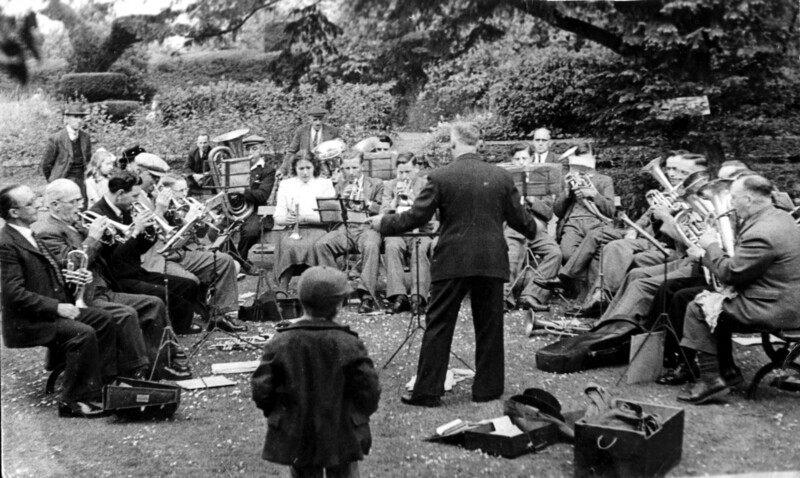 Bingham and Bottesford band, playing at Bingham around 1930. 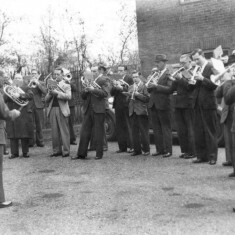 Bob Sutton is the tall cornet-player wearing a hat. 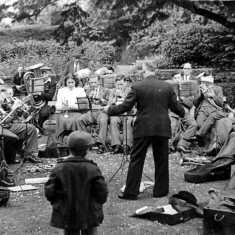 Bingham and Bottesford band playing in the rectory garden at Bingham, c.1930. 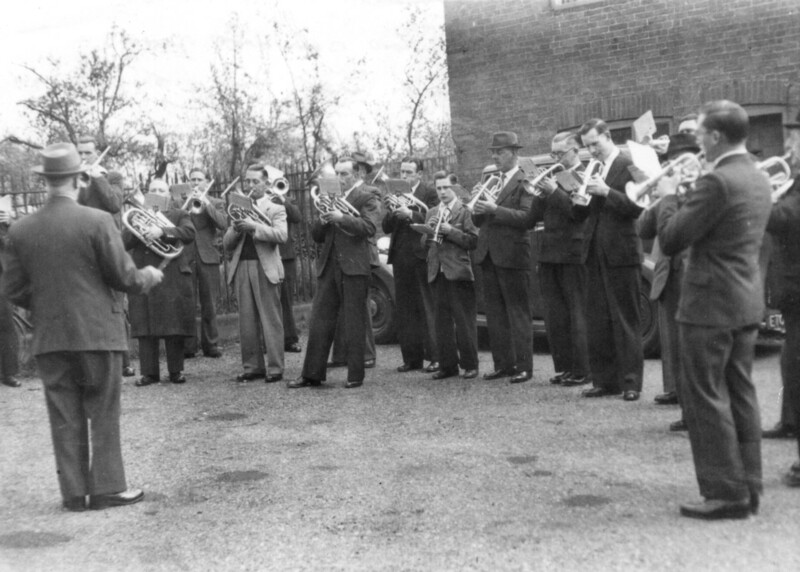 Bob Sutton, wearing a cap, is playing the cornet. 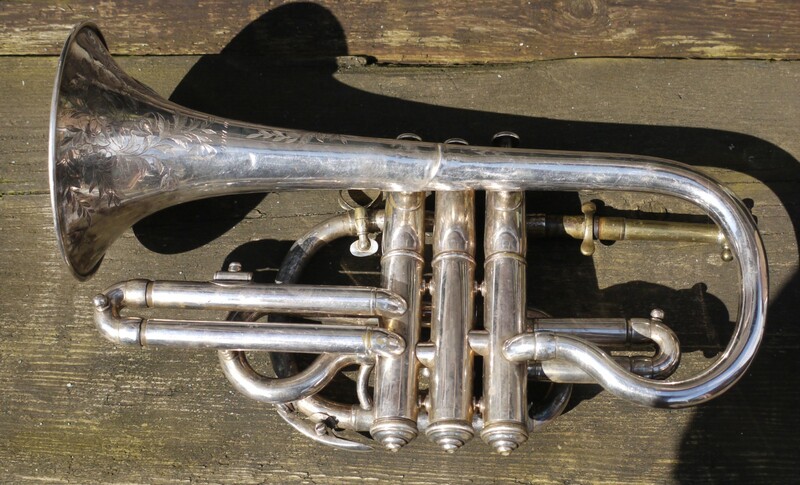 William Sutton, who died in 1924, was Bottesford’s bandmaster. 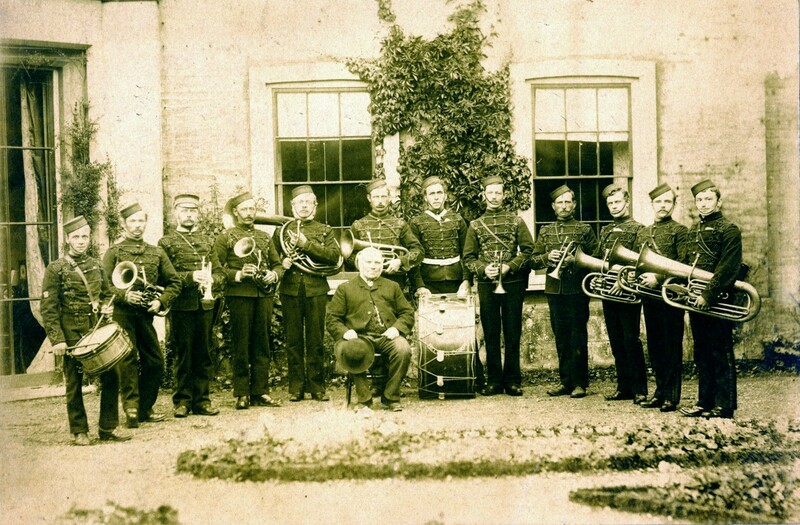 The band played at village celebrations and parades, and members also served in the band of the Belvoir Volunteers. 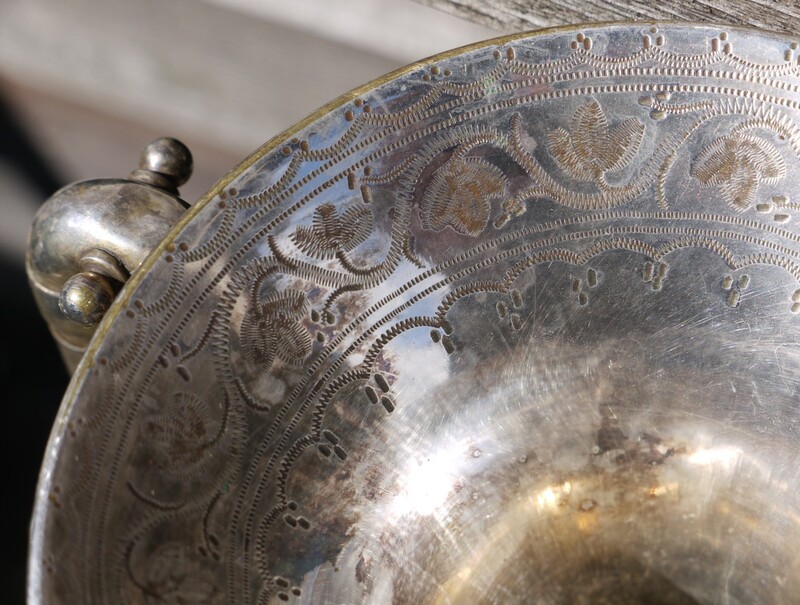 Members of the Sutton family belonged to the group of village musicians who played in church in the days before the organ was installed. His family had a butcher’s shop at No.13 High Street, and also a small shop next to Taylor’s butcher’s shop by The Cross. 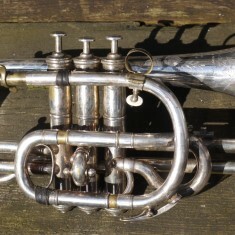 ‘Bill’ Sutton played a cornet which was inscribed in 1886 in his honour. Later it was played by Bob Sutton. 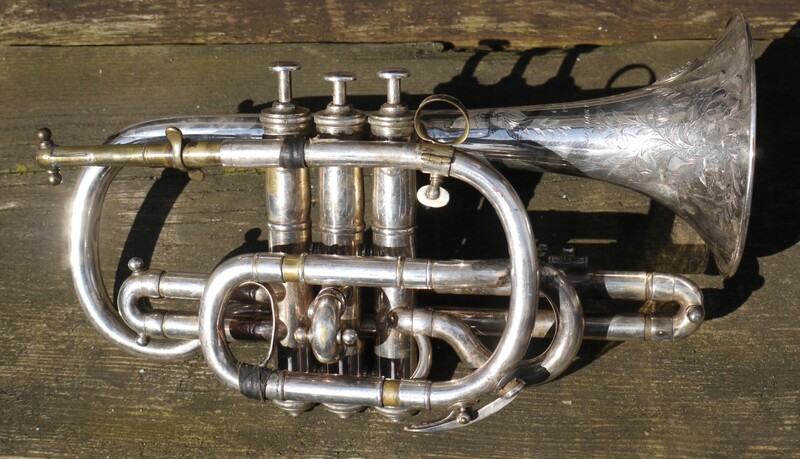 The venerable instrument is still kept by Philip (Chip) Sutton, who has generously allowed it to be photographed. 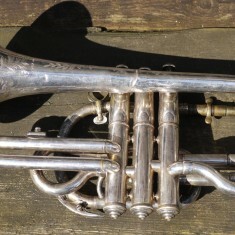 The cornet is still in good condition. 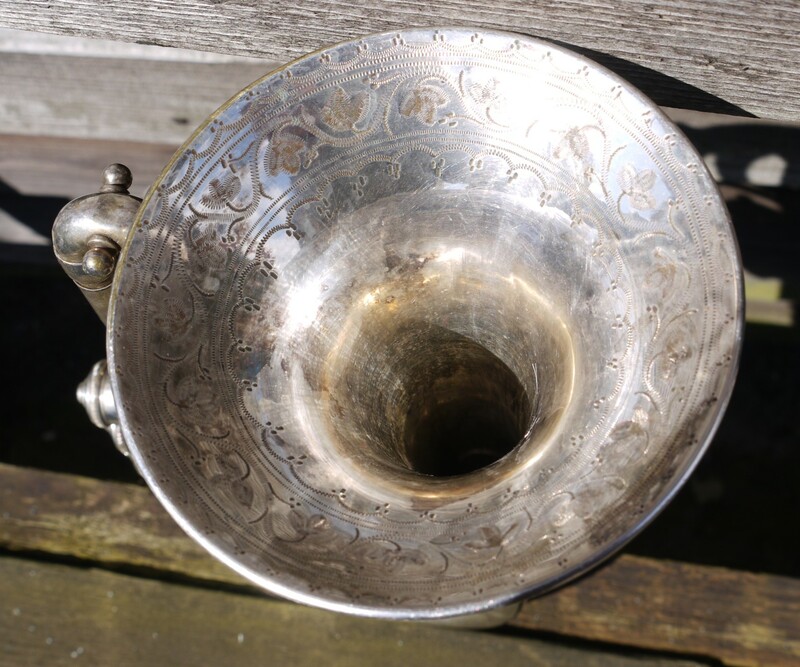 It has engraved decoration on both the outside and inside of the horn. 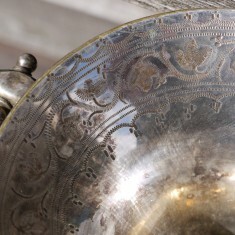 In addition to floral whirls the outside carries two inscriptions and between them an oval royal crest has been fixed. Then comes the oval crest. 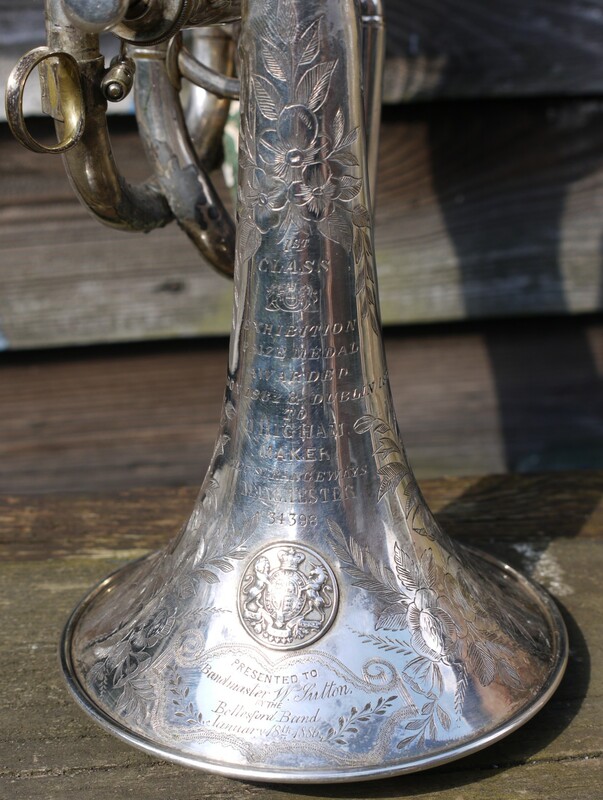 Other pictures on this page show William Sutton with the Bottesford band in the late 19th Century and again during coronation celebrations of 1911; later pictures show Bob Sutton with the cornet in the Bingham and Bottesford band in the interwar years. This page was added on 21/04/2012.